The designers took out titanium and added graphite in the crown and sole sections so that the weight could be moved low, back, and a bit towards the heel. The ZL has a milled geometry in the face and an adjustable hosel with a long 46-inch shaft. Finally, the club makers have muted the impact sound and re-engineered it for a more pleasing pitch. If you are interested in a driver that hits it straight and long (and who doesn't?) then you are going to like this driver. 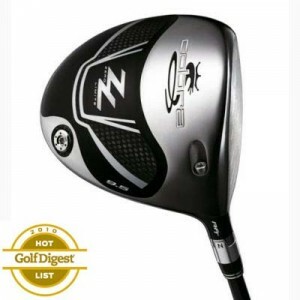 I'm not a huge fan of Cobra drivers, but I like this one. I would recommend it for all levels of golfers. That is, if you are not so concerned with working the ball but are more interested in bombing it by all of your opponents. For you low handicappers looking for more workability, check out the Titleist 909 D3.